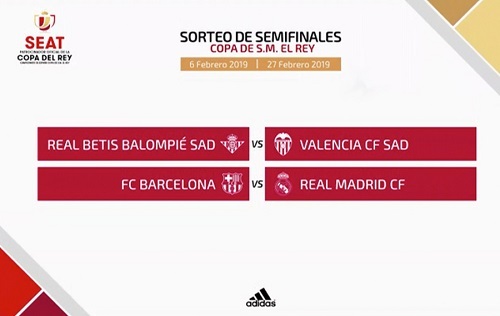 FC Barcelona were drawn with Real Madrid in today’s Copa del Rey Semi-Finals draw. The first leg will be played on February 6, next Wednesday, at the Camp Nou and the return leg will take place three weeks later, on February 27, at Madrid’s Santiago Bernabeu stadium. Furthermore, both sides will meet again three days after the second leg when Real Madrid host the Blaugrana, on March 2, for their final league encounter of the season after Barça defeated Real Madrid 5-1 at the Camp Nou back in October. 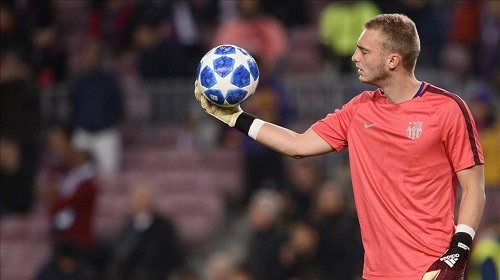 However, Barça will be facing Real Madrid in the Copa del Rey without their Copa starting goalkeeper Jasper Cillessen. Cillessen suffered a calf injury during today’s training and will miss the next six weeks. Thus, the Dutch international will not get to feature against los Blancos. The other draw saw two-time cup winners Real Betis paired with Valencia in the other semifinal. Real Betis will host Valencia in the first leg of the other semifinal with the second game played at the Mestalla stadium. The Copa del Rey Final will be held at Real Betis’s stadium, Benito Villamarín Stadium, on May 25, 2018. Previous PostBarça sign Jean-Clair Todibo and Emerson. Next PostMessi inspires Barça to a 2-2 comeback draw against Valencia.